Getting your Tax right is a key project for every business and the Government has recognised this as a difficult process. As a result, they are introducing a new legislation. 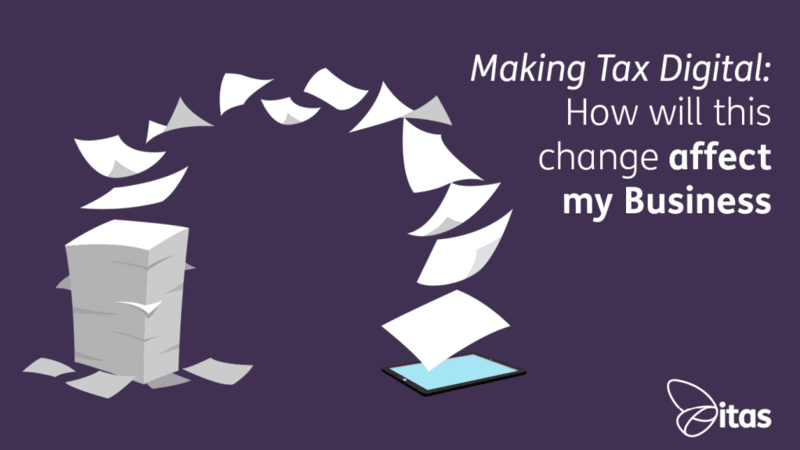 Here’s what you need to know about Making Tax Digital (MTD) coming in April 2019! Back in 2015 the Government issued their MTD roadmap. This outlined the plan in which the Government are following to make essential changes to the tax system as we know it. The reason behind this is to make the process of submitting your VAT Return simpler and to make the administration more manageable and effective. The aim is that the quarterly updates from the records will help prevent errors. Typically these occur during manual calculations or transformation of information when entering online. How will MTD affect my business? If your business isn’t over this threshold then you don’t need to comply. However, if you think the new rules will benefit your company, it is available on a voluntary basis. HMRC are anticipating that businesses that aren’t required to comply will do so anyway due to the benefits it offers. It has been said that those who are required to comply are likely to be digitally ready now. So the transition should be possible earlier, as most report their VAT quarterly already. So don’t panic! My system isn’t compatible. What do I do? April isn’t that far away in the grand scheme of things and you need to be prepared so start as soon as possible. Start by researching the different accounting software that is available and compatible with the new legislation. If you don’t have a digital accounting software, it’s time to start looking. If you would like to talk it through, get in touch and we can get a call scheduled in to discuss your requirements. Initially, it will be the time involved in reviewing your current accounting package and the processes you have in place already, or the time spent in setting up the new software. If you are looking at new software, check to see that your existing hardware is compatible or upgrade-able. If it is possible, this will help to keep your transitional costs down. You will also need to think about the training of your staff on a new software and making sure that they are familiar with the legislation and how it impacts your business. Sage are committed to producing an effective and efficient solution to businesses and individuals affected by the program. As a result, the team at Sage released new versions of Sage 200cloud and Sage 50cloud which are HMRC-accredited. If you are an existing Sage customer using a previous version, an option to comply with MTD is to upgrade to the latest version of Sage 200c. However, Sage understand that not all customers will be in a position to upgrade to the latest version before April. Because of this, they have created a new Submission Module which will provide the ability to comply with the mandate, without upgrading in the short term. Any Sage 200c customer with the latest version (April 2018 onwards) will be compatitble with the HMRC software and do not need to worry about the upcoming changes. If you have any questions in regards to Making Tax Digital, whether you own a Sage product, an alternative accounting solution or none at all get in touch. Home » Sage Blog » All Sage Blog Posts » Making Tax Digital: How will this change affect my business?